Lets take a trip through history first. North Carolina State has been in the ACC since it’s inception in 1953-54. In that span it has won 6 regular season conference championships and 11 ACC Tournament championships. Not bad right? Thasright. But, the last time either of those things happened was 1986-87. When Mark Gottfried was hired after the firing of Sidney Lowe in 2011, it was considered a risky hire. He left Alabama under some fire and had been in the studio. NC State whiffed on some candidates, and ultimately settled on Gottfried. In his first four years he wins 92 games and goes to four straight NCAA Tournaments, never losing in the first round and actually making two Sweet 16s. Start carving the statue amiright? Now, a 16 win season is nothing to panic over, it happens, unless you’re UNC, Duke, Kentucky, Michigan St. etc. (we’ll get back to this is a minute) and is even acceptable and welcomed in some circles (Missouri, Rutgers) but not a reason to put Gottfried on the hot seat. Now, Mark had to be optimistic about the 2016-17 season. He had lost the Martins to transfer (Nevada) and Barber to the draft but, he had Henderson coming back healthy and Torin Dorn was a now eligible after transferring in from UNC-Charlotte. Maverick Rowan was back and he had recruits Omer Yurtseven and possible future #1 pick Dennis Smith Jr. hitting campus. The season starts as expected, out of conference they go 11-2. Lost to Creighton (with Mo Watson) in the Virgin Islands and at Illinois. Eh, that’ll happen. Then the car crash you can’t take your eyes off happened. They start 2-5 in the ACC including a loss at Boston College. Then, on January 23rd they win at Duke for the first time since 1995. Resume the statue! State then lost 6 straight, Smith looked disinterested and Yurtseven was maybe, a bit, oversold. It was bad. To fire a coach in season these days is ridiculous outside of a scandal. It makes the administration look bad and unprofessional and no doubt in this instance scared some potential suitors away. They were lucky to land Coach Keatts. One thing Wolfpack fans need to realize is, geography does not make you equals. You might be close to UNC and Duke, but you aren’t close to being UNC and Duke. They are blue bloods, legendary programs littered with banners and rings and Dean Smith and Roy Williams and Coach K. You just hired and fired Sidney Lowe recently. A little quick on the trigger by soon-to-be retired Debbie Yow. But, in the end she somehow hired what will be a better coach. Lets look at the team. Dennis Smith, Maverick Rowan, Ted Kapita all declared early for the draft. BeeJay Anya has graduated, presumably with a degree in something other than physical education, and to cap it all off, the NCAA in their infinite wisdom, denied Terry Hendersons appeal for a 6th season after missing the aforementioned 1 game junior season. That comes out to around 50 points and 18 rebounds per game. Really other than that things look pretty good. The pieces that are gone were heavy contributors to a team that gave up on the season and ranked 229 in adjusted defensive efficiency according to KenPom. The good is Kevin Keatts. The guy can coach. He won 72 games in three years at UNCW and went to two NCAA tournaments. While this team is a bit of a question mark he has them already set up for success sooner rather than later. Key contributors Torin Dorn (9.5 and 4.5) and Malik Abdul-Abu (11.8 and 7.0) return along with Yurtseven who showed out at the FIBA U20 games where he averaged 17ppg and 11.4 rpg. If you watch the Wolfpack at all last year, and Markell Johnson was healthy, you were probably impressed. He will breakout this year. Incoming are freshman Lavar Batts, a former VCU signee who re-opened his recruitment after Will Wade left for LSU, a guard who likes to get up and down, Batts will be a fan favorite. Also coming to Raleigh are a pair of graduate transfer guards in Al Freeman (Baylor) and Sam Hunt (NC A&T). Freeman is a hardnosed (while inconsistent) 6’3 wing who averaged 8.5 ppg for the Bears over three seasons (11.3 in 15-16). Hunt is a smooth shooting lefty who, after transferring from Jacksonville to NC A&T, gave the Aggies 14ppg while shooting 35% from deep and 91% from the free throw line. Braxton Beverly may join this group if he wins his appeal with the NCAA. As mentioned in a previous post, Beverly is considered a transfer by the NCAA because of summer classes taken at his original stop, Ohio State. The real reason for optimism is on the Wolfpack bench this season however. Former Utah guard Devon Daniels (9.9 ppg 4.6rpg 2.7apg 40% 3pt%) and UNC-Wilmington great, CJ Bryce (13.8, 4.8 3.0 50%FG%) are both joining the team in 2018. Daniels is a sit 1 play 3 and Bryce is a sit 1 play 2. Those two on the wings with Johnson/Batts at the point is a hell of a start for Keatts. If Yurtseven progresses, this team could be very dangerous very quickly. 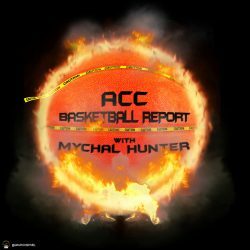 If Yurtseven lives up to his potential and Markell Johnson becomes what I think he is capable of this team could be good. The Pack though, have lost a lot of shooting (186 of 226 made threes) with the departure of Smith, Rowan and Henderson. I would look more towards 2018-19 for them to be contenders for an NCAA tournament bid and a possible force in the ACC. Predicted Starting 5: Al Freeman, Malik Abdul Abu, Omer Yurtseven, Torin Dorn, Markell Johnson.